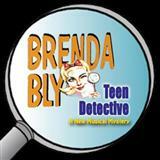 The sheet music for the track I Always Get My Man (from Brenda Bly: Teen Detective) can be purchased below. The composer of I Always Get My Man (from Brenda Bly: Teen Detective) is Charles Miller, Kevin Hammonds, Elvis Presley (also known as Elvis Aaron, The King of Rock and Roll). The great thing about Great Scores is that you can preview all the available arrangements of a song before purchasing. You can therefore make the best possible choice for your own musical ability and playing style, whether you are a beginner on your instrument or at an advanced stage of playing. Simply click on the two quavers (our preview button) to see an individual score. Close this score and click on another to see a different arrangement of I Always Get My Man (from Brenda Bly: Teen Detective). We may offer this composition for a number of different instruments. In that case you can choose to only view all available arrangements for one instrument. Do this by changing the instrument in the drop-down menu titled "Instrument". You can easily change this selection again. We have a Comments tab below where you can write your thoughts about this Charles Miller, Kevin Hammonds, Elvis Presley (also known as Elvis Aaron, The King of Rock and Roll) song. Simply click on it to view existing customer feedback, and to type your own. All you need to do is choose a screen-name (one that has not yet been taken - we will tell you if it has been), and you are ready to post. Please click on the share button on the right to post to Twitter and Facebook. You can also "like" our site using the Facebook Like button at the top of the page. I Always Get My Man (from Brenda Bly: Teen Detective) has been arranged for 2 instruments and we currently have 1 arrangement on offer in total.